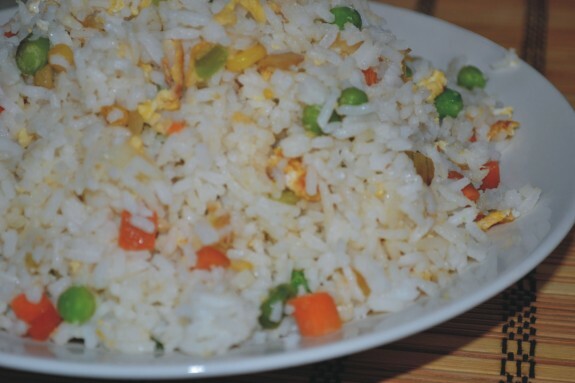 Authentic chinese egg fried rice recipe which goes best with your any chinese gravy like manchurian, garlic chiken or shashlik. First of all boil the rice until done. Strain out the water and keep it aside. In a pan put oil and chopped garlic. Fry garlic for 1 minute then add beaten eggs with spring onion and carrots. Mix it well. Add cooked rice to the pan. Now add the seasonings salt, black pepper and soy sauce. Toss them well and serve in a platter with manchurian or your favorite chinese gravy.